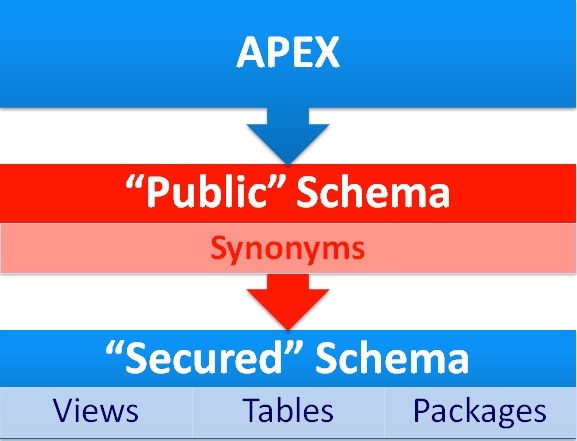 At this year’s ODTUG Kaleidoscope I gave a presentation called “Enhancing APEX Security”. A copy of the presentation can be downloaded here. As part of the presentation I discussed how to create a “Poor Man’s” VPD using Oracle XE. The main concept was to simulate basic VPD on a non Enterprise Edition (EE) (VPD is only available on EE). This post will cover how to do this. Please note, since this is for demonstration purposes I have kept things very simple and it is by no means a complete solution. Before you can review the code, we need to discuss some of the basic architecture and technology that will be used. I strongly encourage you to do some additional research on these topics if you plan to use this method in production. 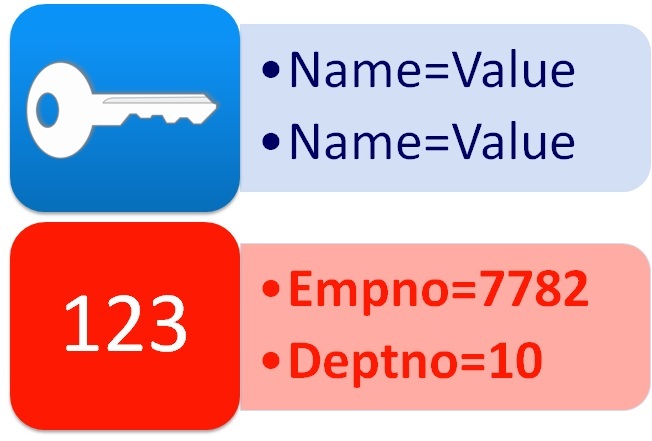 Assuming you don’t have Oracle EE, you’ll need a way to secure your existing schema. Lets say you had a schema called “DEMO”. You’ll need to create a new schema called “DEMO_PUB”. The DEMO_PUB schema will not contain any objects. Instead, it will have synonyms which point to views and packages in the DEMO schema. Note, the DEMO_PUB schema will not have any access to the DEMO tables. All DML statements will be made via packages and procedures. The views from the DEMO schema will be “secure views” which will restrict access to the data. On the flip-side the DEMO schema will only grant SELECT and EXECUTE to views and packages respectively, to the DEMO_PUB schema. 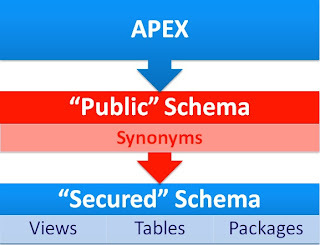 You APEX applications should use the DEMO_PUB so that security logic is stored in the database rather than the front-end. This should help prevent developers from displaying data that end users don’t have access to. The following diagram, taken from my presentation, highlights the overall schema structure. 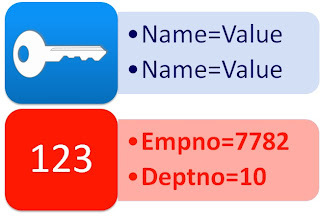 For people unfamiliar with Contexts, the easiest way to describe them is a globally accessible container of name/value pairs. The container is only accessible if you have the correct key. Oracle has some great reference material on this (search for VPD or FGAC) so I won’t cover this any further Here’s a diagram to illustrate Contexts. -- This demo won&apos;t highlight the Last Access date, but can be very useful to kill sessions in the back end that have not been access for a given period of time. Now login to your application with “KING/KING”. Notice how you only see 3 rows in the report? Now logout and login with “MARTIN/MARTIN”. You should now see 6 rows returned. As you can see, none of security was handled in the front end.